Welcome to the Security advice and tips blog! There are many different ways to protect your home, and of course a comprehensive security system will always be the most secure and efficient way to do this. However there are an array of different little things, which cost next to nothing which can be done which greatly improve your home or business security. Here we would like to share some of those tips, as well as a range of other information on how you can better protect your home and your business investments. The first thing we would like to touch on is the subject of outdoor lighting. This is a relatively low cost measure which is highly efficient from a security perspective, regardless if it’s for improving your home security or providing better protection for your office, workshop or shop. There are many outdoor lighting options and when comparing the cost of for instance a motion sensor activated flood light equipped with energy efficient light bulbs, with the hypothetical cost of what you stand to lose should you fall victim to a burglar, then there you can see what the obvious choice is. So one of the most cost efficient way to amplify your current security situation, is to invest in lights which leave potential entrance points exposed and highly visible. Potential intruders are highly reluctant to target places which would leave them in an open space with a light pointing straight at them, even if the area itself is not that populated at the time. So should your budget be tight, and you have alarm and other security measures in place, just adding a few outdoor lights around the area will highly improve your security situation. Something that you may remember from films and TV in from about a decade ago is that of intercom communications. It’s something that exists and is available today for anyone who is interested, but it’s not so widely spread in the UK, but perhaps it something for you. If you for instance have a gate to your home, but you don’t lock it at the time, as it proves too much of an annoyance for friends and family who come to visit you. This option may be something that is suitable to you. For many situations of course it’s not the most suitable, and not worth the value in cost of what type of protection it provides in actuality from a security way of looking at things. Ranging from about 150-400 pounds for a good quality working and practically workable intercom system that includes a camera, as so that you can see who is at the gate. Most commonly they work over wi-fi, and for this price you will get one part to place at the gate, and one part to place at a convenient place in your home, and it works like you would expect it to. If someone rings the bell, you answer, and you have a video call with the guest. Usually an intercom system is not directly connected to the locking mechanisms, however of course you can find this as well. The all in one systems which are integrated lock systems, or built systems by a professional is of course also an option, but again not suitable for everyone, as the price and the level of protection you get must be reasonable in some way. What is also very common is that the intercom device package you get usually come with a few options, for instance you can get for higher level of security and convenience of course. The intercom is available from many different companies and brands, and there is nothing to state that you must include a camera in the deal, and voice only solutions are also available. On top of that if you have a big home or garden, and if you are after convenient communication within the house and it’s residents, then the intercom again can play a role as a good tool. If you are at the end of the garden, use the intercom in the shed to call the house and state that it’s soon dinner time for instance. This is of course more to the convenience than to the security, but it’s also something that can be utilized. 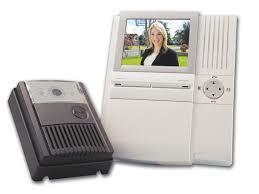 Intercom systems are most commonly used by businesses who may have several entrances and exits to their business premises, and rather than getting say for instance a full time employee receptionist or similar a line between the outside of the building and the visitors directly into the office personnel can be created. But most commonly here there is also a bigger security system in place. So within the intercom category you will also find a wide range of integrated security systems, which can include anything from surveillance, cctv recording and logs etc. If this is something that is in your interest, then we would recommend getting in touch with your local security experts for more advice and to get more detailed information on what is available and applicable for your specific situation and you specific security needs. So for us, even if at times the intercom feels like it has been slightly forgotten and a thing of the past movies. 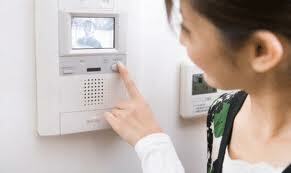 The intercom is still a very useful and applicable security tool today, which is widely applicable and at an affordable price for the vast majority of homeowners. Something to keep in mind when you think about your own home or business security, as well as your own convenience and seeing things from a time saving perspective it can be very useful. These are the reasons to why we recommend at least having a look or asking your local professional on, as it may prove to be a very good, convenient and cost effective security measure for you. Previously we have discussed on the matter of what is best, a dog, or an alarm system from a security point of perspective. For us here it’s not really a comparable situation, as getting a dog is not really a choice which depends on the security matter at hand. After all they are sentient creatures, and as you may have heard. A dog is for life, not for Christmas. But, yes there is a but in there. There may be something out there which can make this comparison obsolete. 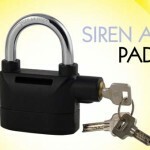 A little gadget which we inform you of out of fun, but useful from a security perspective as well. 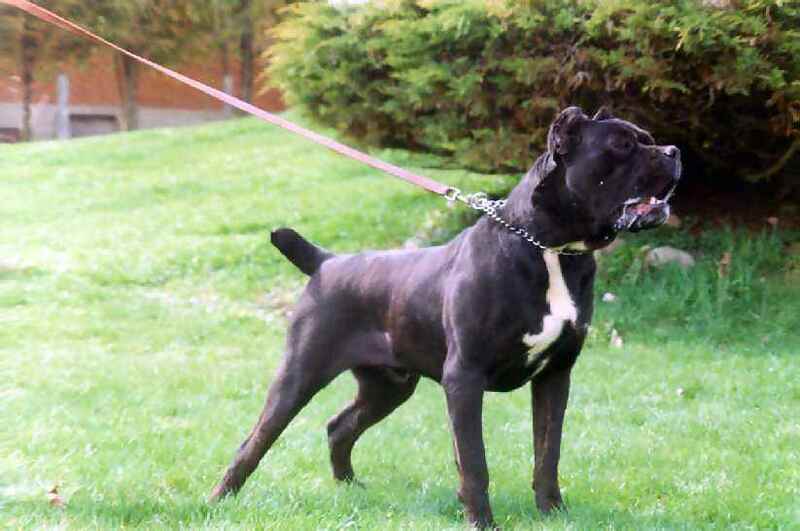 The barking dog alarm can give an agitated rottweilers sounds to scare of potential intruders. How this little gadget works is very interesting. 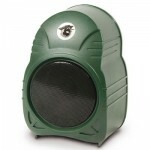 It uses a radar to locate any moving objects in a 360 degree angle. With it being a radar, it means that it woks though walls as well, giving the accurate mimic of a dog. The sound and the credibility of the alarm is a bit depending on model and the make of product, however there are some very realistic barking dog alarms on the market. And with this type of alarm you will also get the benefit which real dog owners have, you may wake up from the sound, and be instantly notified yourself should there be any suspicious activity happening downstairs. There is a type of padlock around, which has been around for a while, but never really gained that big of an audience, however we would like to let you know about it. And it’s a great idea, and from a security point of perspective. 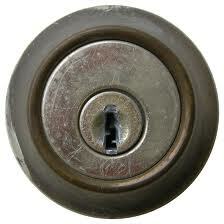 What we speak of is a padlock which also has a built in burglar alarm of sorts. 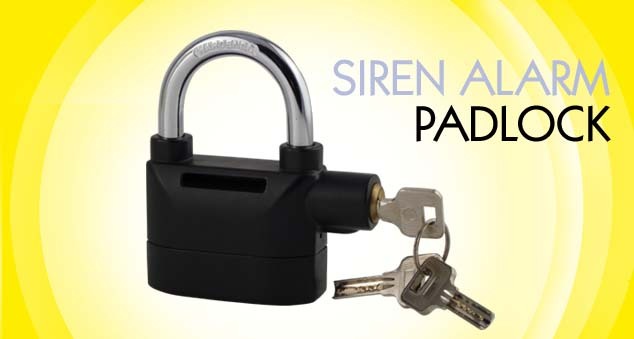 Not much bigger than your average good quality padlock which you would normally use for your garden shed, garage, greenhouse and so on. There are a couple of different varieties out there, however all working on similar design and all sharing the dual capability. If you have valuable in your garden shed, or if your garage contains expensive tools and materials, then this may be a good solution for you. 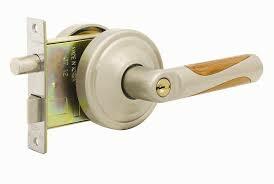 For a little bit of extra investment you also get the benefit of a sounding alarm should the lock be touched or tampered with whilst the key is not present. Of course in what type of security measure is the best choice is very relative to the situation at hand, so we recommend speaking with your own local professional before using this solution for anything you may want to protect further than just a padlock. After all, it’s just a padlock, and better to keep your most valuable equipment and belongings behind closed door and close to you. But, at the same time it’s also a great way to be notified should there be someone trying to break in to your shed for instance. So no matter if this is something you have thought of before, or if it’s something which may be applicable to you, we just want to let people know that this type of technology is available out there, and at a not too heavy a cost. 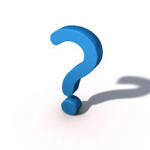 And if the thought crosses your mind when visiting a friend where you see it useful, pass the information along! Important, but at times overlooked security measure! 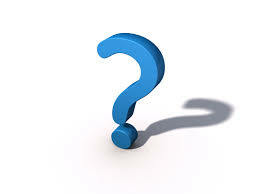 Here in the home security blog we would like to bring up something which quite commonly slips peoples mind. By name it’s that of protecting, as in backing up your own personal data and computer files. This may seem more a digital security measure, however it’s also something which is very important in being able to keep the family photos and videos which have been taken safe. It may prove impossible to retrieve should they be lost. And they can be, in a break in often the target is electronic equipment such as your computer, your laptop, your tablet or your smart phone. There are of course many ways to make sure your invaluable and precious digital things may be backed up, and for the tech savvy out there you can make use of automatic back up programs and systems. However for the everyday user, there are some websites that provide high security, and back up for your photos for instance in storing them online, some of which even provide a photo developing service in where you pick and order what you like at good prices. Either way, regardless of how you choose to back your own personal files up, there is a need to do so, or you may lose something which is not easily retrievable, and although memories will always be with you, looking at our own personal pictures will help the memory and the associations as well. So it’s not the same thing, and perhaps, if you’ve not backed up your data for a long time, it may be time to do so. At least here from the security blog we would like to recommend taking some time to do it, as often you will only need to give a little effort, to secure your own personal files. If you’ve ever had thoughts about installing security bars for your windows at home, here from the security tip blog we would like to offer some information which may help you in your decision. 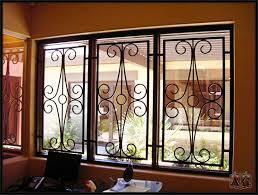 Firstly security bars usually consists of steel bars to cover your window and they come in a few different types and many different styles and shapes. Some of which can be made to fit your home very well. There is the permanent type, which are not made for removal, and they are fixed in position. This type of bars make cleaning the windows a bit difficult. Then there’s the type which sits on a hinge and in most cases you can only open these from the inside equipped with a simple locking mechanism of some sort. Lastly there is the type which is fully removable and just sits in place in it’s own brackets. This last type is most commonly used in a commercial sense, for small shops where the display windows need to have clear view for the customers. For a home however it’s not very common to put bars on all of your windows, simply due to the fact that your view from inside the house is obstructed, just like the look of the home is. This is why we here at the security blog recommend this type of security bars for installation on windows that are not in position of being displayed. The recommendation is made stronger due to the fact that windows hidden from view are less rarely used, as well as at a higher risk for being broken into. Should you have any questions on what type of security bars are right just for you, get in touch with your local experts, they often provide a wide range of different designs, and very commonly they will also help you with installation should it be required. Getting an alarm system installed vs. Getting a dog. Here in the security blog, something that we’ve noticed asked often, is that question of a dog is more efficient than getting an alarm system. Having a loyal companion with a great sense of smell and a loud voice is most definitely something which we here at the security tips blog see as a massive security benefit. The only thing which we would like to say with regards to this is of course, that it should never be question of getting a dog or an alarm system, the reason for getting an alarm system installed will always be that of security, however the reason for getting a dog should never be this. Many of us here at the security blog are dog owners and having a pet is a responsibility that reaches beyond the practical realm of finance and practicality. An alarm system is something that we think is always beneficial for your security, as is that of a dedicated guardian, but an alarm system is a smaller commitment, and if you have no reasons of your own to get a sentient mammal pet, then security reasons alone will not suffice. So our conclusion with regards to this question is that it’s an inapplicable one in the generals, and the only valid question is if you should get an alarm system if you already have a dog, and in this case, we would recommend getting one installed. 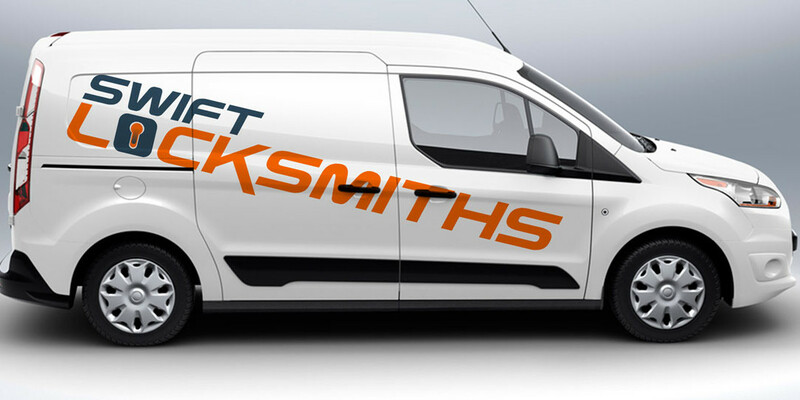 At the moment there are many affordable and high standard security alarm systems available for quick installation at your local locksmithing service, meaning simply that for the protection of your family as well as your belongings and financial interests. For many there will be a continuous need though out the years of living in the same place, which is the case for most new home owners as well as for any landlords in the area. So it’s very important to find a good expert which you can trust, and which provides a reliable and trust worthy service. So in order to help you find a good expert local to you, we would like to offer you some advice on what to look for when you find yourself in the situation of needing one. Often providers are small local businesses, and it’s important to find one which has roots in the community, and one which has been established for long enough to build a good reputation and a good following of happy customers who also recommend their services. You will be able to find an expert easy in the yellow pages, but it may be worth having a check online as well, and services have a website or can be found on directory sites, some of which offers the customers a chance to rate the service provider. When searching for a security expert it’s important to keep an eye out for one that has an established business address, again this is a sign of having roots and stability as a company, and a testament to them providing a good service. Should you give them a ring during the day, and the person which you reach should be able to answer any subject related questions with confidence and ease. Make sure you speak to someone who knows their profession. Another way to make sure that you are dealing with a reliable and honest professional is to check if they are affiliated with some form of association locally, nationally and internationally. This indicates that they are kept up to date with current developments in the industry both in technologies and new products. 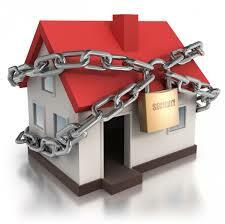 Have you ever wondered if you need a home alarm system? If this question has ever landed in your mind, but you’ve never gotten around to finding the answer to it, then maybe we can give you a helping hand. Since every home is different, one of the most important things to keep in mind is of course your own circumstances, as well as thinking twice before brushing it off as not needed. 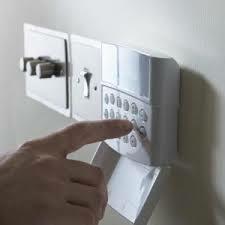 There are many things which you can do to improve security at home without incurring big expenses, but what also needs to be kept in mind is that the market of home security has blossomed, and many very good and high quality systems which work very well are now affordable to most people. The best way to be really sure in this is to of course to get in touch with a professional service, perhaps your local security expert perform security surveys and security inspections. This is our first advice. But there are a couple of things which you can do to gain a reasonably good idea yourself. All you need to do is to take a couple of walks around your home, and think about how you would get into the house if there were no keys, and all the emergency lock out services you could use had disappeared. Make sure at least one of these walks are done night time, as this way you would also be able to spot areas which does not have the cover of light. And perhaps think about installing a motion sensor light in these areas. Things next thing you should do is inspect your door and window locks, make sure they are of substantial nature, and perhaps installing deadbolts on doors. Most typically this time period is always stressful and takes a log of energy. When moving house there are many things on the agenda, and often there is not enough time to think about the security of your old, and your new property in the midst of all that is happening. On top of that, if it’s a big geographical move it may be even harder. So there are a couple of things with regards to the security we would like to place a little reminder of. If you keep these things in mind, you are sure to be able to rest well, and make it from one home to the next without issues. We are starting from a point where you have the security of your old house settled, and starting upon your arrival to your new home. Remember to replace all the door and window locks, and do this with a licensed professional to guarantee that you are in line with your insurance company’s insurance standards. This will simply ensure that there is no previous tenant or stray key which can provide access to your home. Next is the outside area, have a browse around, make sure that doors and gates to your garden, for your shed and perhaps your garage is lit when needed. Motion sensor lights are always good to use here. Check for the possible entrance points to the garden as well, and make sure to parry for any easy access spots. 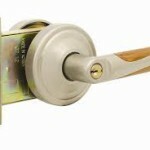 The last thing is the details, the things which are good for your security, and suits your needs specifically. Such as adding alarm system or surveillance equipment, adding door chains, spy holes, and a suggestion which many opt for these days is to get a small personal safe installed in the house for those most valuable and cannot lose items. In times when the need for security seems more and more urgent it’s important to make sure that you choose a good security provider. Someone that you trust, and someone who has your best interest in mind. 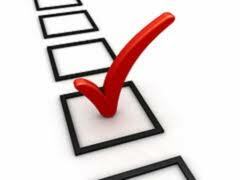 So when choosing your service provider make sure it’s someone who is up to date on the industry market. This needs to be someone who guarantees you that the current security standards are met, and have good market knowledge in order to provide you with the best products and the best value for money. 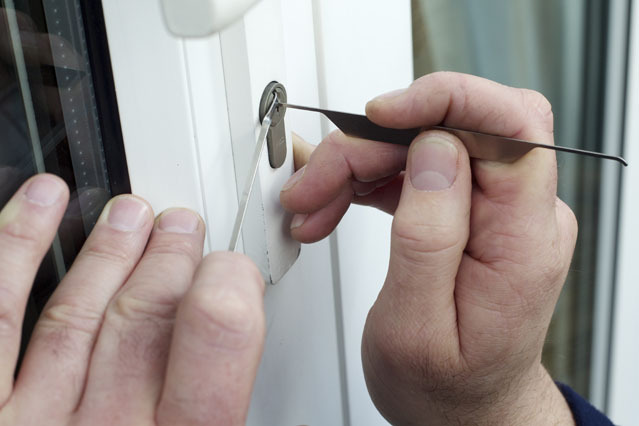 Regardless of what type of security service that you are after, it may be anything from repairing or replacing a lock on your door or windows, to a full comprehensive security system installation maybe including central locking and surveillance equipment. If you know and trust your service provider, the process of choosing the right products and security solutions become much easier. How do you choose your provider then? Well, there are a couple of guidelines to follow. The first one is of course your own feeling when you speak to your professional. Is he or she using common language, or does the wording tend to stray towards industry jargon and technical terms? All security concepts and reasoning can be explained in a simple and efficient way. And if you ever feel that your industry professional is moving too fast, and not explaining something properly, then it may be a good idea to get a second opinion. To quote Einstein; if you can’t say it simple, then you don’t understand it. Another thing which is also good to keep in mind when you visit your local, is to check what type of diplomas and education they have. Often if you walk into a shop like this there may be countless diplomas and certificates on the walls. But more importantly than the number of official documents on the walls, is the date of which they were issues. In the lock and security industry the pace is high, and if your security expert is not making sure they are up to date with the current practices and technologies it may be an indication of a less secure service. Lastly we would also like to mention the presentation of your service provider. If the shop, the tools and the products available are presented in an organised and professional but still practical way, it’s also a good indication to a good security and lock provider. Why is this important you ask? Simply put, when it comes to the safety of your family and your loved ones, or the protection of your business investment, it’s not something which one should take risks or compromise. And if you find a security provider which is professional, trained, up to date with the current technologies and industry market, as well as listens to you, then you are also sure to get the best possible home or business security available. If you place trust in your security service, which is something needed, then your mind will be at ease as well as your body. If you’re reading this post then you’ve made your way to the network of independent security services. 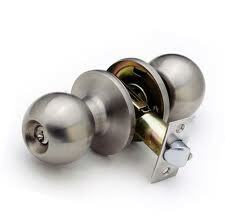 If it’s emergency locking solutions you need then you’ve come to the right place. With security services all around the country and some of the fastest response times in the industry, you know you’re in safe hands. With prices and quotes the most competitive in the industry you’ll not need to go anywhere else for all your security needs.